I have mentioned before that some of the best developments of late are in the area of finishing, and these new finishes from Woodoc - a South African company - certainly classify as something new; in fact, they have been causing quite a stir. 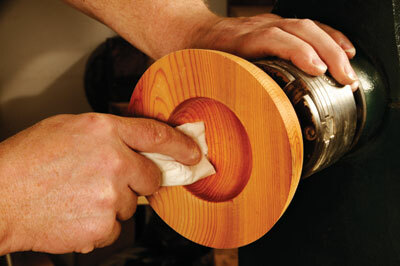 We looked at three products - all for indoor woodworking use and of course, they can be used on turnings and carvings too - Woodoc 5, a polywax finish that leaves a matt finish; Woodoc 10, a polywax finish that leaves a velvet finish; and Woodoc 20, a grain filling polyurethane finish that leaves a gloss-like surface. 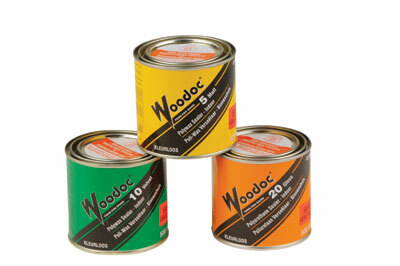 Woodoc 5 and 10 claim to be tough, heat, stain and scratch resistant. Woodoc 20 claims to be all of the above as well as being water and alcohol resistant. Available in 500ml or 1 litre sizes, they come in a nice metal tin which has a wide opening top that will allow you to dip a brush or cloth in, as appropriate. The Woodoc 5 and 10 are the lowest in viscosity and the 20 is a bit heavier - more viscous - but not by a great deal. All of them flow off a brush nicely and all are very easy to apply. 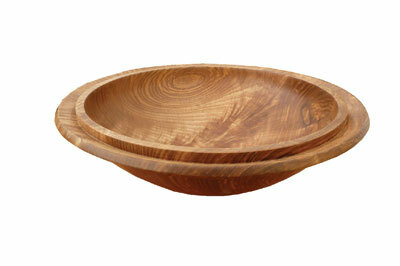 The products are a light amber colour that surprisingly, doesn't darken the wood too much. The concept that you can apply a finish which creates the surface lustre you want straight from the tin and with minimal faffing about is commonplace within paints, but not so common with this type of finish, although more manufacturers are catching on to it. Following the instructions, I set about using them on four different timbers: sycamore (Acer pseudoplatanus), yew (Taxus baccata), ash (Fraxinus excelsior) and walnut (Juglans nigra) and found that although the absorption rates of the different timbers varied, the finish was superb in each case. 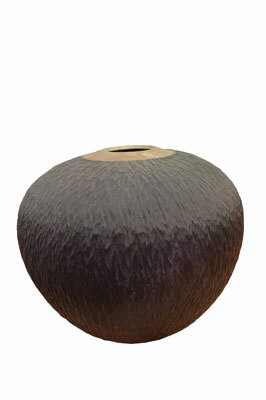 Below you will see some photos of work created by Phil Irons using the relevant finishes. We both found that the product does everything it says it does on the tin. I really liked these products; they are easy to use, give a superb finish, and can be used to finish many other woodworking jobs around the home, too. At present, the current safety data sheets are being updated to comply with the latest EU legislation. These oils are easy to use and can be applied using either a cloth or brush. I found it refreshing that the oils created a surface lustre straight out of the tin. Yes, you can manipulate oils by cutting back or buffing to a higher shine, but just to be able to wipe on and wipe off and then leave it alone, is so easy. The oil is priced a bit higher than some others, but this is not prohibitive. Time will tell how durable the finishes are, but initial impressions are very good.